In a city known for its innovative coffee scene, David Rio Chai Bar on Market Street, the most significant commercial corridor in San Francisco, breaks the mold with its expansive menu of uniquely crafted chai drinks. But where it’s been most “disruptive” is when it decided to open its first-ever cafe smack-dab in the middle of one of San Francisco’s most challenging neighborhoods, the Tenderloin. Close to the corner of 6th and Market streets, Chai Bar is surrounded by new gleaming buildings, filled with VCs and tech workers, small businesses serving a very low-income community, non-profits, and a notable homeless population. This unlikely mix is mainly the result of when tech began moving to the Tenderloin in 2011. The results has been a neighborhood grappling with a shifting cultural landscape, especially along Market Street between 6th and 8th streets. Empty buildings that have long sat vacant are now slated to become glitzy hotels and fancy market-rate housing. David Ababseh, who manages retail operations at David Rio and has worked with the company for six years, said his colleagues reckon with this ongoing tension between old and new on a daily basis, but is optimistic and vigilant that they can have a positive impact. Since opening its doors, David Rio has partnered closely with City Impact, a Tenderloin-based non-profit organization that runs a church and a series of social, health, and academic services for local residents, in order to hire locals into cafe jobs. Some employees also volunteer at the local needle exchange. Ababseh has also begun implementing a protocol for helping individuals who come into the cafe with substance abuse emergencies; it’s been effective to getting people the help they need, while keeping customers safe, happy, and empathetic to these situations. Established in 1996, David Rio has always set up shop in areas in the midst of economic and social transformations. They moved into their wholesale operation to the Dogpatch in 1997, a neighborhood famously known as headquarters of the Hells Angels motorcycle club. It was from this under-the-radar locale, David Rio built a global name for itself, despite not having a brick-and-mortar presence anywhere. 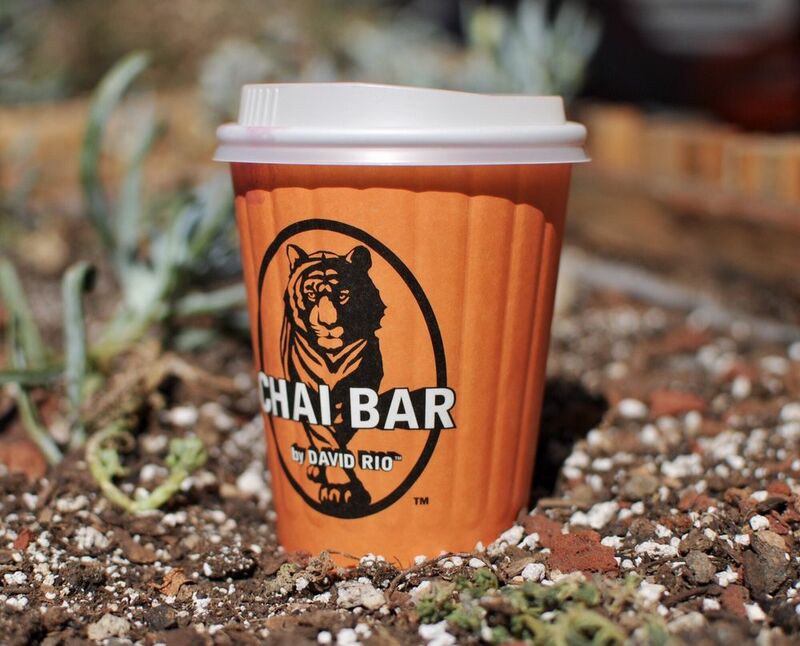 That changed in May 2015, when owners (David) Scott Lowe and Rio Miura opened their first-ever retail location, a 2,600-square foot Chai Bar on Market Street, between 6th and 7th streets. Situated on the ground floor of San Francisco’s iconic 1019 Market Street building (the same building Zendesk calls home), the husband-wife duo once again sought out an underdog neighborhood for this ambitious undertaking. The next time you visit David Rio, tweet at us (@ZDNeighborFDN) a picture of your drink and we’ll buy you your next chai!